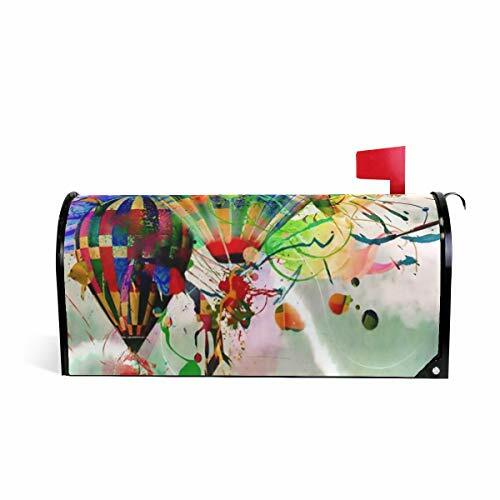 MUOOUM Magnetic Mailbox Cover. Different mailbox covers theme decor you personal space. All seasons, spring, summer, autumn and winter, change for each holiday.As a birthday gifts or holiday gifts is good choice. Beautify the environment. Reusable, change covers for each season. Enjoy your life. 20.8x18inch(52.6x45.8cm), fits american standard size mailboxes. Magnets hold the mailbox wrap in place on magnetic,metal mailboxes,it's easy to install and switch out for the next seasonal,theme,holiday,such as winter,christmas,thanksgiving,halloween etc. This personalized artwork printed on material designed for outdoor display.Provides unique designs that are as durable as they are beautiful. As a decoration to your house,add more fun to your home. If you have any questions about this product by HEOEH, contact us by completing and submitting the form below. If you are looking for a specif part number, please include it with your message.